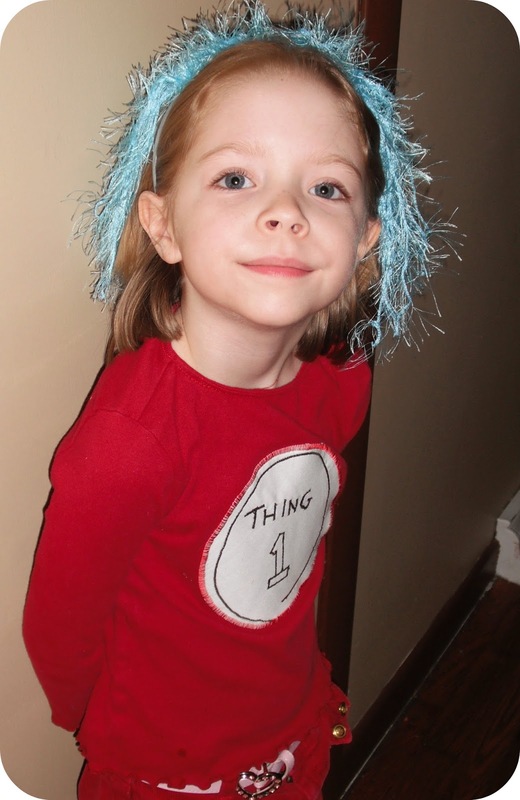 Scattered Scissors: My little "Thing 1"
Last week was Dr. Seuss week at my daughter's school in honor of his birthday. On Friday they were allowed to dress up as a character from a Dr. Seuss book. 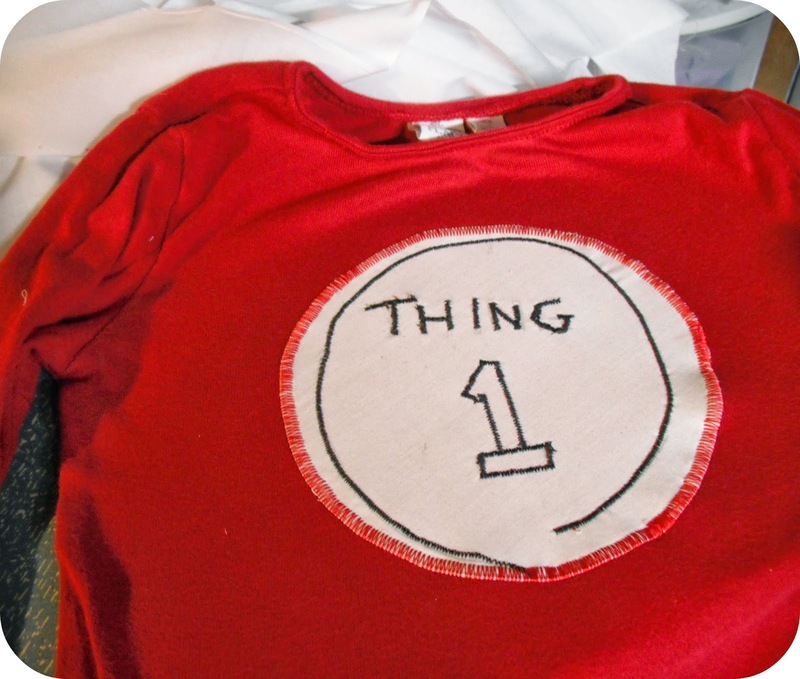 We talked it over and chose Thing 1 since it was a relatively easy to make using supplies I already owned. 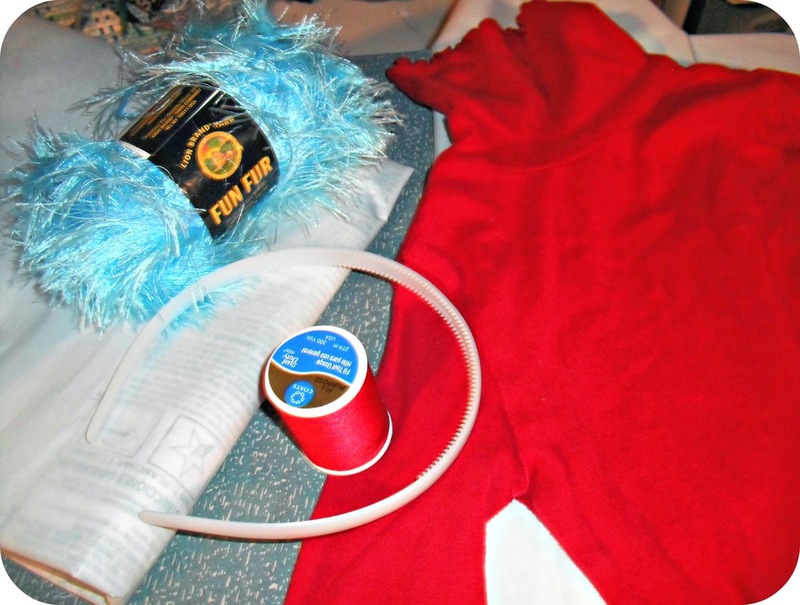 All I needed for the shirt was some scraps of white fabric, a turtleneck from the 'to donate' pile and some heat n bond. 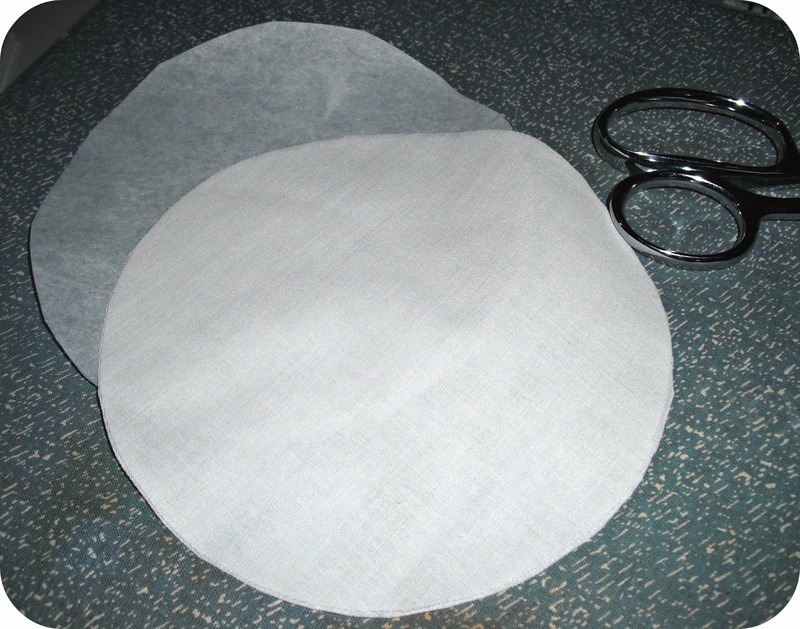 I cut out two circles of my scrap fabric since it was thin and stitched them together. Then flipped them out and hand drew the emblem with a pencil. Shove that into the sewing machine and use a tight zigzag to trace it the emblem. Perfect was not what I was aiming for because the emblem was not drawn that way. After that I slapped some heat n bond on the back of the circle and ironed it onto the shirt. Finished the edge with a red satin stitch and the shirt was done. I made a quick headband by knotting blue fun fur around a blank headband. It's nothing fancy or pretty but it gives the impression of shaggy blue hair. I thought she would be so unique at school by not choosing the obvious Cat in the Hat. I was wrong. 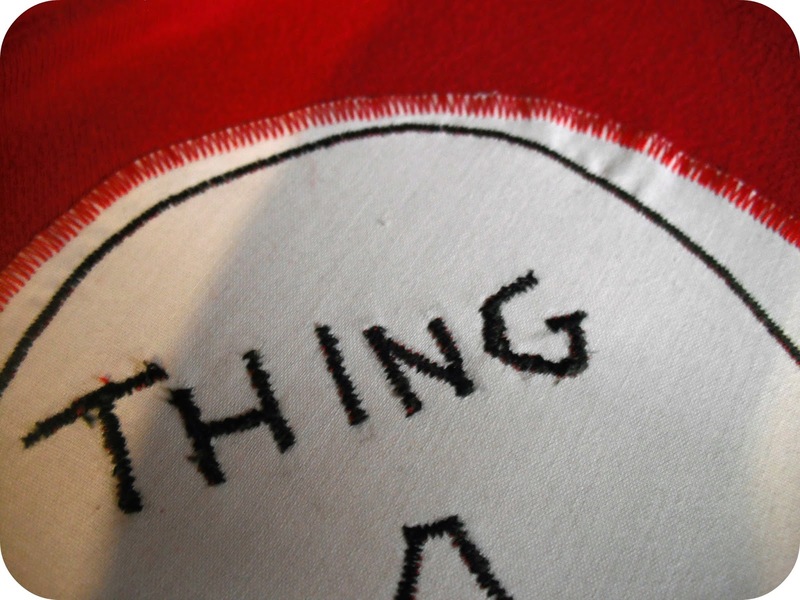 She said there were around twenty people dressed as Thing 1s.. and less than five Thing 2s. Either way she's a cute little Thing. :) Great job! I am sure she had lots of fun ! Thank you! It was a 'night before' project. Not too amazing but it fit the bill. A very cute Thing 1. Giving the impression of hair with the headband, rather than trying to do a whole wig, was very clever.